You will receive a tracking number via email from FedEx the day your order ships. We do not ship on weekends or holidays because we’re out doing something fun and enjoying the fruits of our labor. When estimating delivery times keep in mind that orders will go out the following business day, and shipping transit times do not include weekends or holidays. Smart Post (cheapest option) can take as many as 12-15 business days to deliver. Some zones ship faster, Montana is not one of those zones. We can ship to APO, FPO, and PO Boxes using this method. 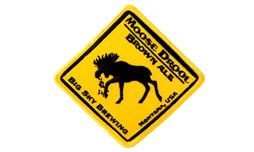 Ground or Home delivery can take 5-8 business days to deliver but is generally overnight in the great state of Montana. 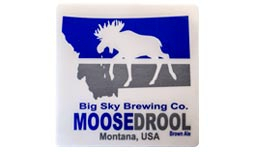 International customers, or folks in fun states like Hawaii, or Alaska can contact merchandise@bigskybrew.com to arrange alternative shipping methods. We will refund freight charges to the cost of a stamp for sticker only orders. We make every effort to send your goodies out in a recycled or “ugly” box. We also try to reuse any packing materials that we have handy. So your tin sign might arrive in a pint glass box, or your pint glass might be wrapped in a tee shirt, but that doesn't mean they're any less deserving of your love. So kick back and hoist a beer while you bask in the glory of being environmentally friendly. 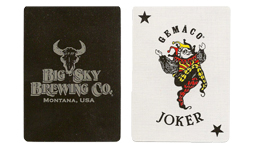 If you have general questions about the internets or any web ordering concerns please contact merchandise@bigskybrew.com and I'll be happy to help!